I Have Problems. Real Problems. The second part of my problem is not that I spend too much on books (because I actually spend much less than I used to) but that I have too many now to reasonably read and review on my blog. Now, I know this causes you great tears and anxiety (it does me!) because I find myself reading books less thoroughly if I'm not going to be forced to think through them after I'm done reading. So consider this post a compliation of "mini reviews" on books I've read on whims (or otherwise) that I just didn't get around to posting a lengthy review on. Years ago - which is to say awhile back but not so very long ago - the nation faced a horrific "moral dilemna" in deciding the value that we would place on human life. Does the name Terri Shiavo ring any bells for you? The attorney who fought for this disabled woman's life in the courtroom wrote a book about Terri and his legal experiences following the conclusion of Terri's life. In case you are unfamiliar with the case of Terri Schiavo, to bring it down to nutshell sized portions, there was a legal battle over whether or not she was in a persistant vegetative state following her inexplicable collapse in 1990, or whether she was just mentally handicapped (more or less). Her husband, Michael Shiavo argued that she was PVS and that her feeding tube should be removed to cause her to die. Her parents fought for her life. The world would say her husband won. Perhaps for the moment I will concede that's what it looks like. In Fighting for Dear Life , attorney David Gibbs makes a pretty good argument for why Terri should still be alive today. He talks about the importance of valueing human life in any state or stage. When we start devaluing human life we'll be in a world of hurt. Really, I COULD write up a very long review of this book. In short though, I thought Gibbs did an excellent job being both concise and relevant. (I'm sure he's a smashing attorney!) I was familiar with Terri Shiavo's case but the more intimate details, if you will, elluded me. Fighting for Dear Life is a book every American should read. That's the simple fact of the matter. Life is precious and we SHOULD fight for it. This book throws itself into the battle for life with a vengence and it is a welcome warrior. Loved this book. 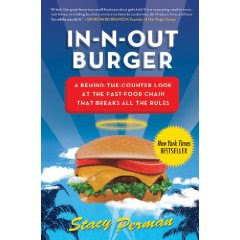 I won a copy of In-N-Out Burger from Book Psmith. (I never win anything but managed to win two things from her in a very short period of time - this book included!) I really can't add anything to her great review of it so I'd encourage you to click here and read the original review. She made me want to read this book and I enjoyed doing so. Having only recently experienced my first In-N-Out Burger (and being rather surprised by the very limited menu!!) I found this book to be a curious read. I couldn't for the life of me figure out why In-N-Out was such a smashing success after tasting their burgers. (Ducking to avoid flying objects.) That said, the owners of the establishment, Harry and Esther Snyder seem like people worthy of respect. Curious fact: The business was launched with $5,000. Best quote (from Harry Snyder): "Keep it real simple," he always said. "Do one thing and do it the best you can." Lastly, I finally got around to reading Boundaries - When To Say Yes, When To Say No, To Take Control Of Your Life which has been on my TBR Wish List for....forever. I didn't want to read it to find out how to set boundaries or how to break the one's I've set. Mostly, I confess, I was looking for justifications. I found them too so naturally I think this is a perfectly marvelous book! Ok, honestly, I did think it was a fabulous book. I do like respecting people's boundaries and I think it's healthy to have them. Boundaries preserve and even foster relationships. Boundaries can make or break people. What is important to discover about people is where their boundaries are so that you can respect them. What is important to realize is when people don't have boundaries but should and to respect those lines as well. To put it another way - I'm a strong willed individual and I'm also a fairly decent manipulator when I want to be. I can know that someone either has or needs a boundary and I can cross that boundary line almost without thinking. What *I* need to focus on is observing limitations and respecting individuals for the boundaries that they have and the boundaries that they need. I think, whether or not you think you have a reason to, this book is a worthy read. I'm happy to have finally gotten around to it and I enjoyed hearing what the good doctors Townsend and Cloud had to say. So with this post I've relieved myself a bit. However, the disease seems permanent and if there's a book you think I should have read or should be reading but haven't yet - well, leave a comment and start the guilt complex going. I'm used to it. I have Boundaries for Kids on my shortlisted TBR stack. Thanks for some great mini-reviews! Okay, Carrie, my girls and I just watched the video, and it is HILARIOUS, mostly because it's so true for us! Fighting for Dear Life intrigues me as I'm a legal assistant and would love to hear his reasoning for saving Terri. Boundaries is GREAT! Better is you can view the videos that go with. 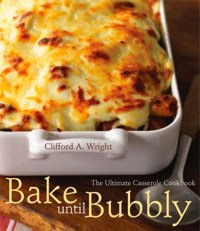 The cover alone makes me want to buy the Bubbly book but I have to work my way through 5 Gooseberry cookbooks first. Thank you for leading me to Fighting for Dear Life. I still can't talk about Terri Shiavo without getting emotional. There was such a media frenzy surrounding the case that I also felt the most important details were getting lost. I will definitely be looking for this book. I am so glad you enjoyed In-n-Out...I am not throwing anything...I promise:) I loved the Chick-fil-a video. It took me a long time to respect the fact that they closed on Sundays...that came with maturity but when I was a teenager and worked at the mall, Sundays were my only chance to eat there and it irked me to no end to see them shuttered. I am way into boundaries and I am always a little taken aback when I meet people who don't seem to have any nor have any clue about respecting another's. Hmmm. There's a lot of choices at In-n-Out they just have secret menu, like 'animal style.' But, you're right, when you get down to it a burger's a burger. I do like how everything is fresh and cut right there and their meat is never frozen. Oh...and the milkshakes...so good! I read Boundaries a number of years ago. Lots of good stuff in there. It really helped me with understanding the importance of roles. I made a recent discover at In And Out that made me happy - if you turn the drink cup upside down (empty please!) there is a scripture reference printed into the bottom. I of course always try to view it with a full cup - but, I'm never board. I have WAY too many books to be reading (and just ordered more), but that casserole book is calling my name.